On a recent trip to Como, Italy, I was stunned to see not one, not two, but three Aston Martin Cygnets motoring along the iconic lakeshore. Those were the first, second and third Cygnets that I had ever seen outside of an auto show display. Based on news received today my sightings of these rare birds are unlikely to be repeated; indeed they may be the last I see of them: Aston Martin has decided to withdraw the car from further sales, based on its dismal sales numbers. Aston Martin had projected sales of up to 4,000 Cygnets per year – a serious miscalculation, as it turned out, and another blow for the financially challenged 100-year-old automaker. 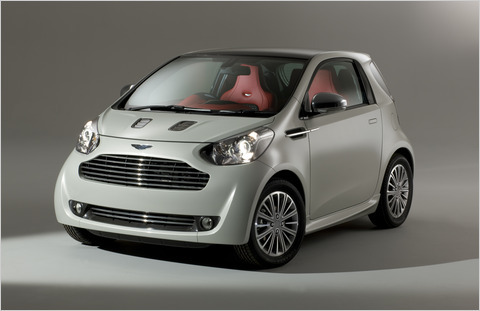 It will cost Aston Martin more than $13.5 million to wind down the Cygnet disaster. The Cygnet was a dicey gamble, at best. Aston Martin had truck a deal with Toyota to re-configure its iQ city car with an Aston Martin grille and other minor exterior treatments, and to gut the interior and replace it with refined and luxurious materials. But the Cygnet never turned into a swan. The biggest problem seemed to be price: At three times the cost of an iQ – a little over $50,000 – it was a tough sell. Especially since it was powered by the iQ’s stock 96-horsepower 1.3-liter engine. So, the Cygnet had the price but none of the performance characteristic of the brand. “The premium supermini market is a good place to be at the moment but Aston got it wrong,” noted Ian Fletcher of the IHS automotive research firm. IHS forecasts 594,000 city cars, including premium models such as Audi’s A1 and BMW’s Mini, will be sold in Europe this year. By 2020, that segment’s volume could top 800,000 units, he added. Aston Martin thought the Cygnet would help the brand as a whole meet EU targets for emissions and fuel economy, and offset the relatively thirsty and inefficient habits of its V8- and V12-powered supermodels such as the DB9 and Vanquish. Aston Martin, which has lost more than $70 million the past two years and seen annual sales slide below 4,000 units, has been struggling to branch out into new segments. It also lacks a luxury SUV – a recession-proof genre for rivals such as Porsche. Even Jaguar, A-M’s former stablemate in the now-liquidated Ford Premier Automotive Group empire, is planning an SUV – thanks to more than $6 billion in investment since 2008 by new owners Tata Motors of India. Meanwhile A-M’s private equity owners, Middle Eastern financier Investment Dar, have gone a largely opposite direction in having to restructure nearly $6 billion in debt. While the company has recently received some injections of new capital, and has announced plans for new engines, news like that of the ill-conceived Cygnet’s premature death indicates a certain amount of uncertainty remains ahead. Should we also mention here that the company’s charismatic chief executive Ulrich Bez, at the helm since 2000, may retire at year’s end?